Note: Minor spoilers in the review below. Based on a review in Entertainment Weekly, I picked up Andy Weir’s The Martian on my Kindle. With so much modern-day science fiction dominated by a dystopic view of the world, it’s easy to forget that the genre has also at times advanced a positive and benevolent view of science, technology and the future. The Martian falls in this latter camp. 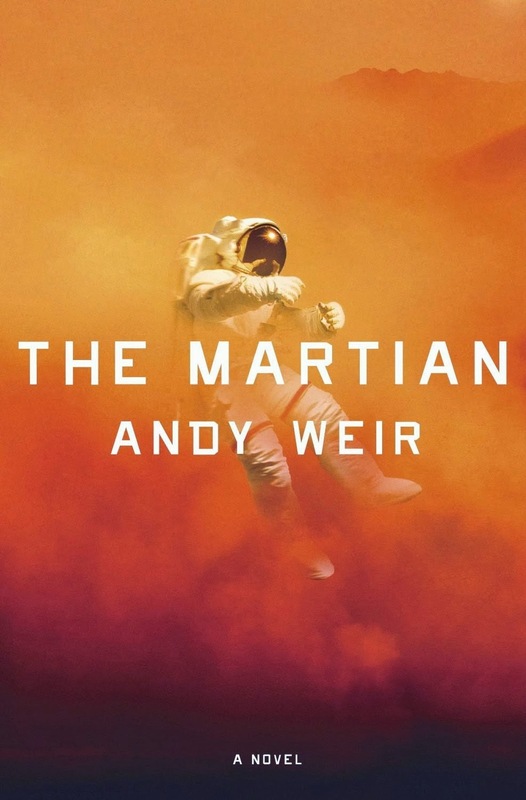 Weir’s book tells the story of an American astronaut named Mark Watney who becomes stranded on Mars after his fellow crew members strand him there after he is thought to have been killed during a dust storm that forced them to evacuate. When NASA discovers Watney is still alive (one of many delightfully clever sequences in the book), they commit to rescuing him. Because of the distance of the planet from earth, the book largely follows Watney’s efforts to survive the several years it will take for the rescue mission to arrive, interspersed with scenes on earth as NASA mounts the operation (sometimes involving the contributions of other nations), as a whole world watches. Before the book was picked up by a publisher and became a success, Weir’s book had been rejected by every publishing house he brought it to. I can only guess that it was because author Weir spends a lot of time explaining the science and getting it right. (Indeed, the book was partly rooted in the author’s interest as a NASA geek to understand how such a long distance space mission would be mounted and how astronauts would sustain themselves on the planet after landing.) Regardless, Weir (through the lead character’s first person narrative voice) keeps the science accessible, reflecting a modern-day geeky DIY sensibility. The science and workarounds are clever but always based on real science. Above all, the book is suffused by the lead character’s sunny, positive, can-do outlook – as the book mentions, astronauts chosen for a long-term mission to Mars would likely need to go through a rigorous personality screening process to ensure they could withstand the rigors and emotional demands of such a trip. (I remember the film the Right Stuff portrayed a similar screening process that the Apollo astronauts had to undergo.) As the books shows, Watney was not only the best person for the job, but the best person qualified to become stranded. Note: Director Ridley Scott is reportedly set to direct the film adaptation of the novel, with Matt Damon cast as the lead. I posted a version of this at Facebook, but wanted to post this tribute here for posterity as well. I've been going to Comics Ink (in its various iterations) since the mid '80s (or so). In those early years, on most Saturdays or Sundays, it was the last leg of the day for my buddies and me (which included Scott and several others college friends), when we met for baseball in the morning at a park in West L.A. or Santa Monica, which was followed by a relaxing late breakfast or lunch at the same diner where we were usually served by the same waitress (who's still there by the way), ending with a visit to Comics Ink to get our weekly fix. That ritual changed then eventually ended with the advent of marriages, children, and the realities of adulthood, but Comics Ink remained our source for comics and, yes, a touchstone to our younger days. 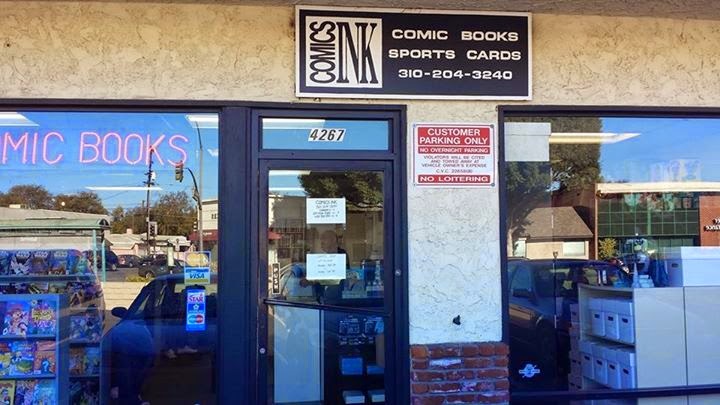 In any case, I was glad to know Comics Ink's owner is retiring on his own terms and comfortably. I'm not sure everyone in his line of business can say that, but this and the fact that he's remained in business through the endless cycle of boom and busts of the comics industry says much about the man and his business sense! 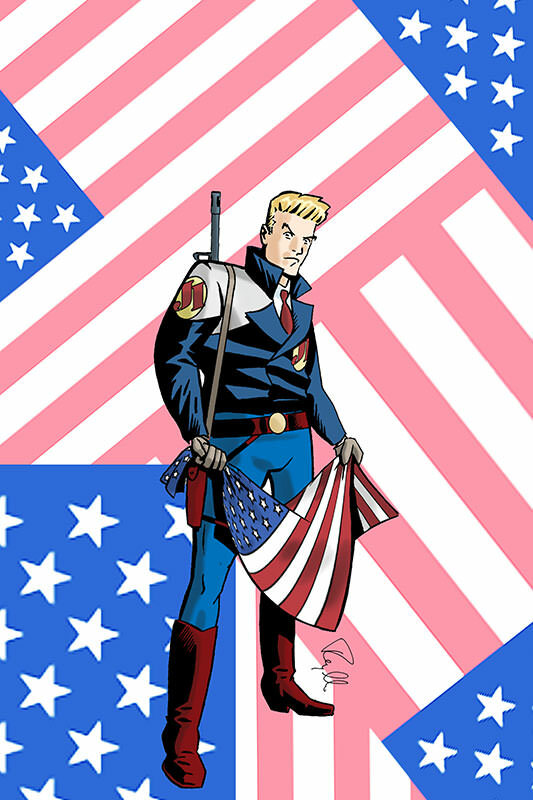 Thanks, Steve, and to the Comics Ink staff for their great work over the years! Scott Brick (second from left) with Comics Ink's owner (second from right) and his staff.